Форум Свободной России / 3 декабря 2018 г. The main goal of the Kremlin in relation to the elections of 2019 is not to strengthen a “party of compromise”, but to present new evidence that Ukraine is a failed-state. This is not only because the concept allows the Kremlin to avoid the Minsk settlement. 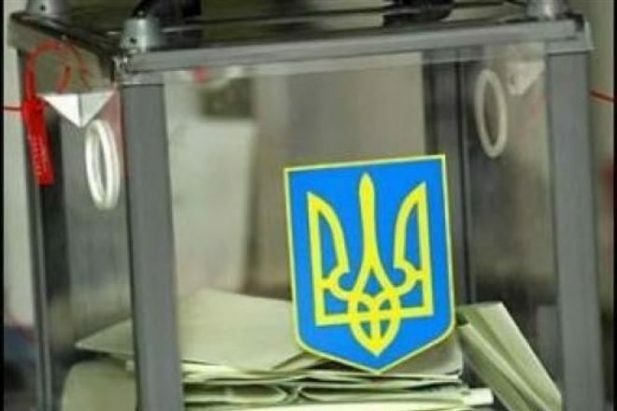 The Elections in Ukraine — Presidential (March 2019), Parliamentary (September 2019) are the single most important events in the internal politics of the Kremlin. Since 2014, the entire Russian domestic policy were strongly dedicated to Ukraine — TV news and political talk-shows discussed about issues in Ukraine day after day, the entire agenda of Russia’s relations with the world was tied to the “Minsk settlement agreement”, the participants in the campaigns on the occupation of the Crimea and the invasion of Donbass continued to play important roles in Russian domestic and International politics. But the main thing: it was a “Maidan” – it was perceived as a model of civil protest and the potential transfer of power – which made such a strong impression on the Kremlin that the so-called “orange threat or revolution” began to determine the internal politics of the Kremlin. A whole chain of consequences were formed: the destruction of civil organizations in Russia, the expansion of the powers of the special services and the struggle against any form of public protest, a conservative trend in an education and a culture, an enlargement of official patriotic work, etc. These were consequences of a shock that caused the second Ukrainian Maidan. Sometimes, even in the official Russian circles you could hear: why were there so much Ukrainian topics on the federal channels? “An Ukrainian issue” in Russian media was less affecting the viewer in Ukraine. It was so rude that it could not provide any support to the pro-Russian sentiments, even in the east of Ukraine. It had the opposite effect on the Russian-speaking viewer in all post-Soviet countries: it repelled in its mocking tone. Obviously, the anti-Ukrainian propaganda of such content created inconvenience even for the “Opposition bloc” — small group of Ukrainian politicians who were eager for reconciliation relations with Russia on its terms. Now, many experts agree that the Kremlin cannot make such strong influence on the outcome of elections in Ukraine through its preferred candidates or its parties. Neither Yuri Boyko, nor the hypothetical unification of all the anti-Poroshenko resources of Dmytro Firtash, Rinat Akhmetov, Viktor Medvedchuk, etc. or a victory by Yulia Tymoshenko in the second round (suggested by various ratings and polls), nor an attempt to expand the number of the “opposition bloc” in the Rada in September 2019 — none of these plots can lead to a serious turn in Ukrainian politics. First of all, because the Ukrainian society took yet another form for five years after the annexation of the Crimea. There was a common joke in Ukraine: “No one did so much for the formation of a Ukrainian civic nation than Putin.” Meaning it brought the country together. Secondly, because the policy of Poroshenko and the coalition of politcal parties in the Parliament led Ukraine quite far away from a possible return to Eurasia with the pro EU and NATO position. Thirdly, because Putin’s policy transformed to such a form which didn`t afford to supporters of Russian-Ukrainian friendship to do or to say something. The policy was not just toxic. It constantly demonstrated “rhetoric of humiliation”, thereby leaving no path for such figures as, for example, a former Russian citizen, and now a Member of Parliament of Ukraine and an opponent of the autocephaly of the Ukrainian local church, Vadim Novinsky. But the Kremlin accepts any other forms of destabilization. In other words, the main goal of the Kremlin in relation to the elections of 2019 lies not in the possible strengthening of the “party of compromise”, but in presenting new evidence that Ukraine is failed-state. And not only because it is concept that allows the Kremlin to avoid the Minsk settlement. But also because the Kremlin wants to continue to “trade” the illusion of its “stability” amid “Ukrainian horror”. The entire machine of the four main hubs of Kremlin propaganda — the two federal TV channels, media holding of Kovalchuk brothers, Russia Today and “Troll Factory» of Yevgeny Prigozhin — creates a non-stop stream of “Ukrainian horrors” in order to show the confused Russian media consumer that “we still have it’s not so bad. ” Ukraine makes it possible to substitute in the mind the deterioration of the situation in Russia itself. The evolution of the image of Ukraine in the Russian media is well described by specialists, in particular, Andreas Umland, Eugene Magda, and others. This image changed in 2014-2018. When, for example, the image of the “russian world” lost relevance as well as the glorification of specific characters of Donbass collaborationism. But there were three main topics of «Ukrainian horror» remain in demand for exploitation entire period. First, Nazism. Immediately after the annexation of the Crimea, the Kremlin started to develop the topic of the far-right in Ukraine, who were “eager for power.” This was picked up in Europe by Marxists and radicals, including those who left to work on Russia Today and Sputnik. But the Ukrainian far-right parties today play a smaller role in domestic politics than similar parties in Austria or Hungary. The political center in Ukraine has been formed. Nevertheless, the Kremlin and its media promote colorful headlines «Ukraine is a Nazi state». Even the Russian Metropolitan Hilarion uses this rhetoric in a recent interview that he gave during the conflict around the Ukrainian autocephaly (“In the Ukrainian political establishment Nazi ideas are becoming increasingly popular …”). The second direction: to present all politicians of Ukraine as people who completely detached from the needs of their voters, as well the economic policy of the Ukrainian Government as a failure and interpret any events as an activity of failed-state. The third direction: Is stopping the rhetoric of the “russian world”, the Kremlin proceeded to show to its inner viewer total violations of “human rights” in Ukraine. At the same time, now the Kremlin media does not publish any independent essays, investigations, or any exclusive materials about Ukraine, as it was at an early stage in 2014. It used this method like «verbal flow». And it aimed to construct imagination in the minds of the viewers and the readers of a certain “neighboring state”, in which all the same problems as existed in Russia, like violation of Civil rights, race inequality, systemic government corruption, and simply bad governance. These violations in Ukraine are in a more dramatic manner than «at home», but Putin saves and protects us from this. In other words, the entire Ukrainian topic, which took the center position in the political agenda of the Russian media, worked only for the idea of the «stability and sustaining” of Putin’s policy. Of course, in that form, it could not be “sold” to the voters of Ukraine during the elections, even if they were supporters of the anti-Maidan or pro-Russian segments in the south-east of Ukraine. But it was very important for Putin’s apparent decreasing domestic policy. That was why Europe should be wary of extensive provocations from Moscow in the Ukrainian elections of 2019. 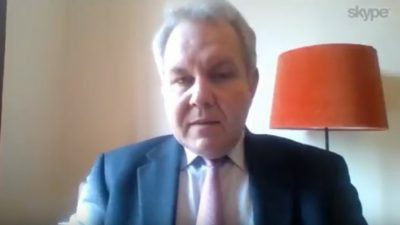 Ukrainian journalist Dmitry Krapivenko described scenarios of possible complications. From the unrealistic re-attempt to shake the southern regions of Ukraine (Kherson, Kharkov, Nikolaev), to return to the failed plan of destroying of Ukraine by creating «Novorossiya», provoke the far-right to take to the streets or trigger local military provocation. The Kremlin comments deeply the conflicts between Hungary and Ukraine, Poland and Ukraine, awaits conflicts around Orthodox parishes, protests of the far-right, any evidence of instability, chaos and political incapacity of Ukrainian society.